Sunday morning and I am now 24 hours into my digital detox. No social media, no e-mail! I am not even allowed to turn on my iPad to type up my scraps of material from the week before. I have a presentation to make in the University early next week. I know I need to sort the slides, visuals and notes. I aim to get through until Monday morning and map out my session on paper with sketches and rough drafts. I did contemplate sticking a small microchip or a bar code to my arm, like a Nicorette patch, to help stave off my digital cravings. Stop the need to view a TED talk or play music through Spotify. I‘ve even got my old long player vinyl records, that I inherited from my parents, out of the loft. The scratching sounds of Marc Bolan’s Tyrannosaurus Rex, to help me with my electronic fast. I had an action planned day, scheduled on Saturday with Sophie, my ten-year old niece. Drama class at eleven for her, giving me an hour to work on my new piece of writing PUPPET. Lunch in Chinatown, followed by the new exhibition at The Bluecoat (ironically, focusing on how artists are questioning the impact of digital technology on humans), then to the Planetarium at the Museum for a show on the Winter Sky at night. The works on display at The Bluecoat were extremely interesting. The stand out piece for me had to be by Marilene Oliver. The artist has reconstructed her mother and father through stacked screen printed sections taken from magnetic resonance imaging (MRI) scans. The sculpture is like something out of a Sci-Fi movie. 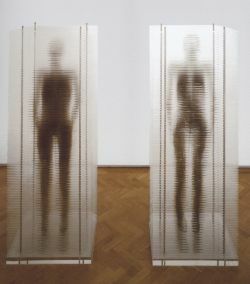 It has a strange, other worldly presence that is captivating and also quite unnerving. 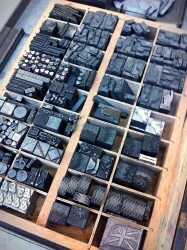 By chance, whilst at The Bluecoat, we stumbled upon an open day for the printing studio, The Juniper Press. A newly formed letter-press studio equipped with traditional type and presses for the use of artists and designers. The room was brimming full of people, with lively demonstrations taking place. The space smelt of raw oil based ink and crisp sharp printed pages, metal prints hot off the press – literally. Letter-press printing has been in existence for over 500 years. There is currently a revival of this lost art taking place, perhaps people yearn for something more practical. The printmakers told me that there is a real resurgence of interest and use in contemporary art and design. My niece had the opportunity to work a Victorian Anvil Press and see exactly how the letters were composed and physically pressed on to the paper. A process that requires complete accuracy and attention to detail. With no room for too much error, as paper, print and resources were costly. Now in these more austere times, we can learn a lot from this way of working, for it’s so easy to just press the mouse and print off a document, typos and all. The art of taking time and care to compose the structure of a piece of writing is something that can often be omitted. It is so easy to rattle off an e-mail and put it out there without having the time to think. I am an advocate of the ‘think before you click’ philosophy. So for half an hour in the studio I was transported away from this modern life. I lost myself in the pleasures of print making. It was fantastic for my niece to see the mechanics of the process and understand the origins of the word font. Give me twenty-six SOLDIERS OF LEAD and I will conquer the world. 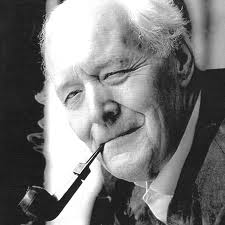 In a week that has seen the loss of the admirable activist, Tony Benn, a man of true values, this did bring a smile to my face. Back to my writing studio and the digital detox. That night, in keeping with the Victorian theme, I started my next reading project. To get through the entirety of Charles Dickens’ back catalogue. 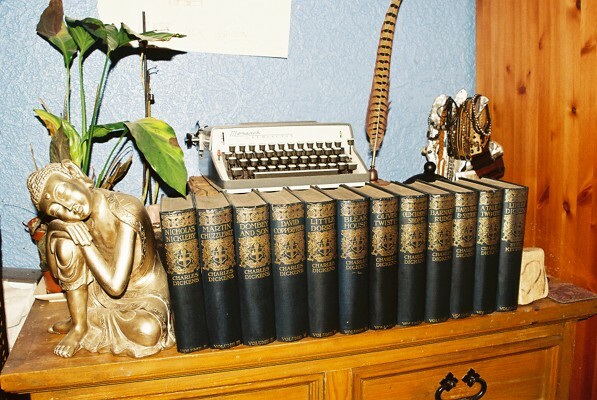 I’ve recently purchased a superb collection from Kernaghan Books. As you can see, this may take me some time. 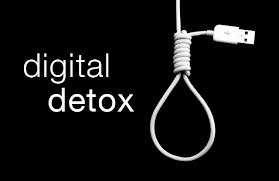 I encourage a weekly daily digital detox, it’s cleared out the electronic clutter in my mind.